Waiting on Wednesday is a weekly meme hosted by Breaking the Spine. In this meme we post about a book that we're eagerly anticipating! Let me know what you guys think and post links to your WoW posts so I can comment back! I've never read anything by this author. I hope you enjoy reading this one. Nice! I Love Richelle Mead! I've loved pretty much all her books, except for her latest Gameboard of the Gods series. I just couldn't get into that one despite my trying! This one though, I think will be amazing! That book looks great. 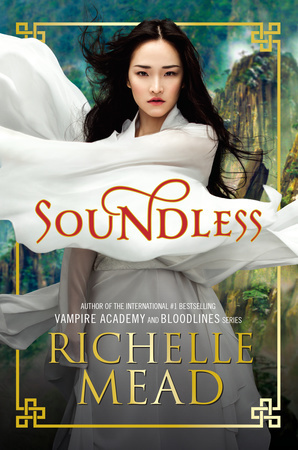 I'm excited to see what Richelle has put together this time since I enjoyed Vampire Academy. I love the cover of this one.. I hope it's as good as it looks.